Minneapolis, MN - March 31, 2013 - The most exciting event to hit Minneapolis is excited to announce that actor Eric Roberts will be appearing at the 2013 Minneapolis Comic Con, Meta Con, this August. 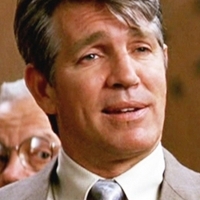 Eric Roberts is famous for numerous movie and TV roles, including the role of Sal Maroni in The Dark Knight, which was the fourteenth highest-grossing film of all time. One of Hollywood's edgier, more intriguing characters, Eric Anthony Roberts started life in Biloxi, Mississippi, but grew up in Atlanta, Georgia. He is known by comics fans in particular for appearing in The Dark Knight as Sal Maroni, Gotham City Mafia boss. His career began with King of the Gypsies (1978), a role for which he earned a Golden Globe nomination for best actor debut. He starred as the protagonist in the 1980 dramatization of Willa Cather's 1905 short story, Paul's Case. He earned both a Golden Globe and Academy Award nomination for his supporting role in Runaway Train (1985). Through the 1990s and 2000s he maintained numerous dramatic film and TV-movie roles while appearing in TV series. His TV work includes three seasons with the sitcom Less than Perfect and a recurring role on the NBC drama Heroes. His sisters Julia Roberts and Lisa Roberts Gillan, and daughter Emma Roberts, are also actors. Meta Con 2013 brings thousands of fans of comics, science-fiction, video games, anime, and music together for a nerd-culture weekend extravaganza. This Minneapolis comic con includes almost a hundred different events, including formal dances, gaming tournaments, and cosplay costume contests. A big part of this comic and anime con is the giant exhibitor hall, featuring vendors selling all kinds of epic gear from comic books to video games. Meta Con will be held August 30 through September 1, 2013 at the Hyatt Regency Downtown Minneapolis. Individuals interested in attending can pre-purchase tickets (pre-register) online at http://metaconvention.com/register Hotel room information is available at http://metaconvention.com/location and rooms are only $99 per night.